Wishing everyone all joys of the season and all warm wishes for a wonderful New Year! I am off to California for the holidays but all my friends and family where ever they are are in my thoughts . This image is from a performance of the Buglisi Dance Theatre , who I love to collaborate with. 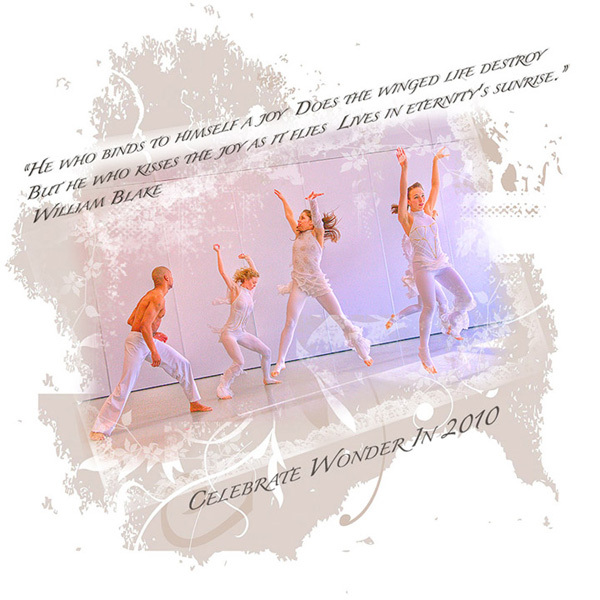 Let us all celebrate wonder in 2010 !! This entry was posted in Celebrations, Dance and tagged Buglisi Dance Theatre. Bookmark the permalink.